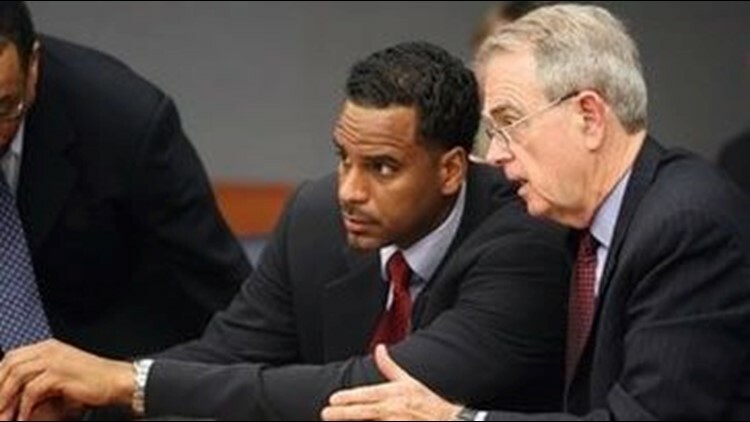 RALEIGH, N.C. - Former NBA star Jayson Williams was arrested early Monday after authorities say he punched someone in the face outside a Raleigh nightclub, the latest legal tribulation for the All-Star who has spent years in the courtroom since an injury ended his basketball career. Some type of dispute led Williams, 41, to hit the other person shortly before 2 a.m., Raleigh police said. Williams was charged with one count of simple assault and released on $1,000 bond. "He was very cooperative during the investigation and very cooperative during the arrest," said Capt. T.L. Earnhardt of the Raleigh Police Department. Joseph Hayden, an attorney for Williams, did not immediately return a call seeking comment. Williams, who played nine seasons in the NBA for the New Jersey Nets and Philadelphia 76ers before retiring in 2000, is facing a retrial on a charge of reckless manslaughter in the 2002 shooting death of his driver, Costas "Gus" Christofi, at his mansion in Alexandria Township, N.J. According to testimony, Williams was showing visitors a 12-gauge shotgun when it went off and hit Christofi in the chest. Williams was acquitted of aggravated manslaughter, but the jury deadlocked on a reckless manslaughter count. A retrial is pending, and he has been free on bail since the shooting. He has apologized to Christofi's relatives and given them $2.5 million to settle a civil suit. He was convicted in 2004 of trying to cover up the shooting, but a judge has ruled he won't be sentenced until after the retrial on the manslaughter charge. Defense attorneys have said they'll try to overturn his convictions on grounds of racial bias after the disclosure that a former employee of the Hunterdon County Prosecutor's Office used a racial slur to describe Williams during the investigation. Last month, authorities in New York zapped Williams with a stun gun after a friend reported he was acting suicidal. Police there said they found several empty bottles of prescription drugs and several suicide notes and used the stun gun when Williams resisted attempts by officers to take him to a hospital. Meanwhile, Williams' wife filed divorce papers this year claiming he was abusive and adulterous and had a drug problem. Williams was a first-round NBA draft pick in 1990. He was named an All-Star and ranked second in the NBA for the 1997-98 season with 13 rebounds per game and a league-high 443 offensive rebounds. Injuries forced him to retire in 2000.